Working on hanging crafts can be awkward if you try to work on them while they are lying flat. This is a guide about stand for making hanging crafts. 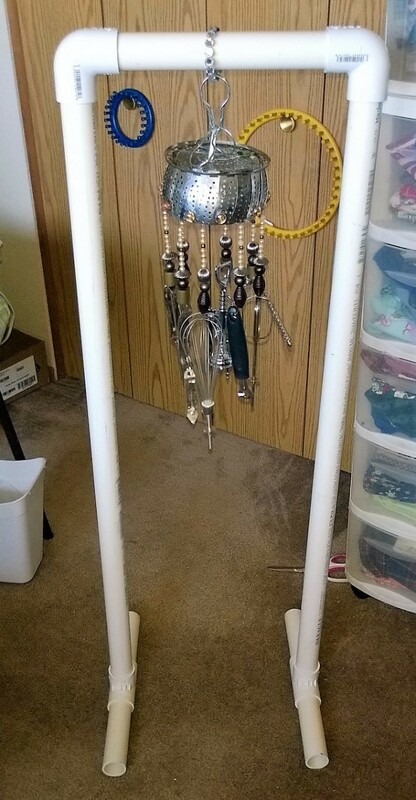 I recently began making wind chimes, sun catchers, and mobiles out of recycled materials. The first two took way too much time and effort as I was trying to lay them on a table to work. So I designed this simple, but effective, stand so I can hang them from the top and work on them as they are going to hang. 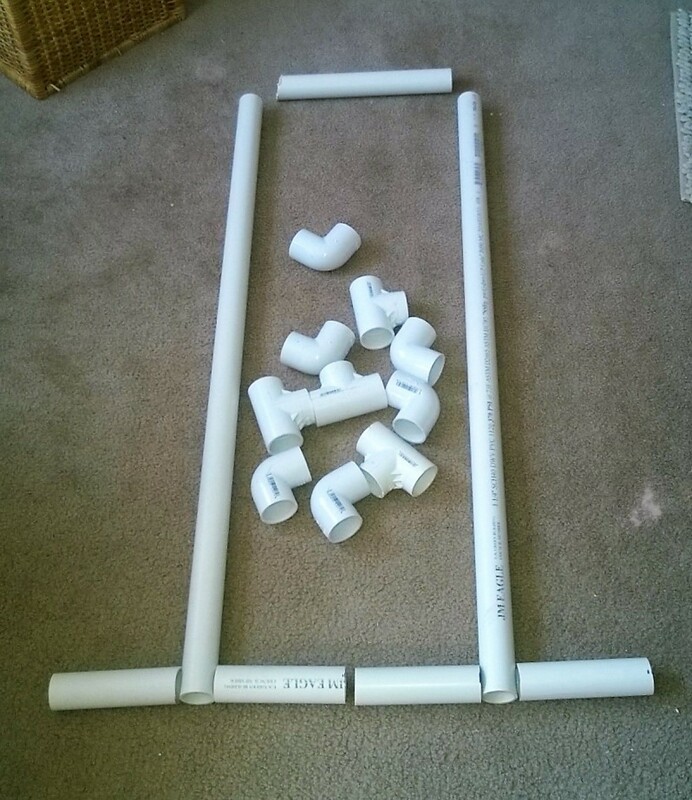 I was able to borrow the PVC pipe cutter and already owned a hammer. 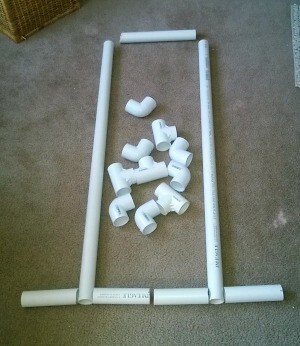 Cut your pipe into one 12" piece for the top, two 42" pieces for the sides, and divide the last piece into 4 pieces that come out to be "about" 6" each. I originally designed it to have 4 4" stands vertical from the 6" stands so there are more elbows and tees there than I needed. Assemble the 2 elbows on the top and sides, connecting the 3 pieces. Using the tee's, put your stand legs on in the opposite direction of the stand pieces. These are easy to tap in with a little hammer. You don't need glue. Hey, this is REALLY a great idea, & I will build one for my studio soon! I also love the wind chime you made that is shown in one of your pictures! Super cool! Thanks for sharing this with us, it's fantastic and looks like it would be very helpful! neat idea, thanks for sharing it. I love this!...I need this!!...Thanks! Thanks. It's just about 12.00 and super easy! If you make the width wider tho...make sure the little legs are longer. You want that equal balance.